When you take off your trekking boots at the end of the day, you feels like you could do it all over again, because the Mens Trekking Merino Compression Sock really keep your feet fit. They exert gradual compression on the calf muscles, which supports your blood circulation, helping your legs stay fitter for longer. 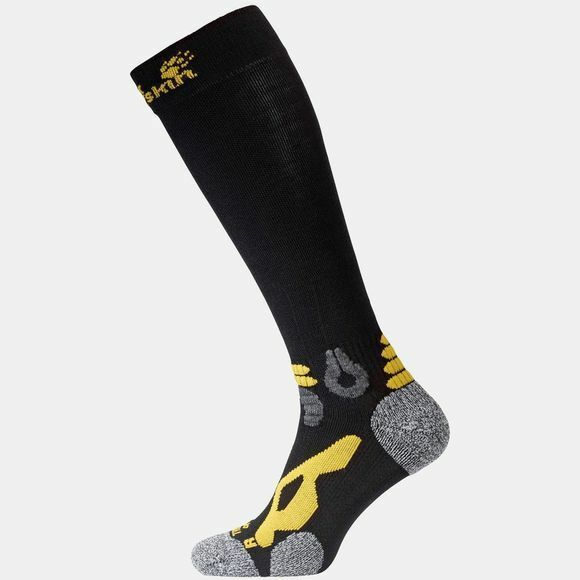 Thanks to their special construction these trekking socks cushion and support your feet where they need it most. The breathable hybrid fabric with merino wool is soft and fast–drying, to help prevent blisters. The Merino Compression Sock was developed in collaboration with sports sock specialists X–Technology.